With a new well, there are now 55 households drawn to Bunyama Village for its safe, clean water. 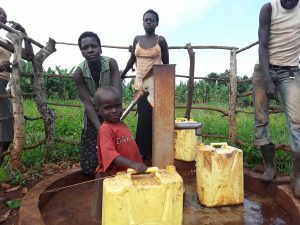 A year ago, generous donors helped install a well with Bunyama B II Community in Uganda. Because of these gifts and contributions from our monthly donors, partners can visit project sites throughout the year, strengthening relationships with communities and evaluating the actual water project. These consistent visits allow us to learn vital lessons and hear amazing stories – we’re excited to share this one from our partners, Scovia O. and Geoffrey Kusemererwa with you. Bunyama Village became Open Defecation Free (ODF) with 100% latrine coverage on October 19, 2016. We walked beside this community as they conducted their own appraisal and analysis of open defecation and took action. The community now has a great self-awareness of hygiene and sanitation, with many leaders who promote the adherence of good, healthy practices. 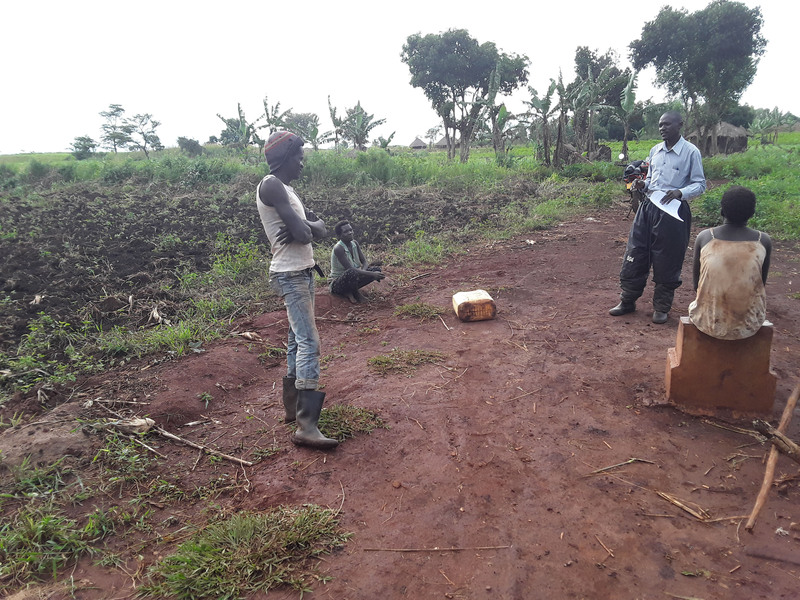 Through the help of the water and sanitation committee, community members have been empowered to monitor sanitation in their vicinity and enforce bylaws. Before this project was implemented, there were 38 households depending on dirty water coming from a broken source. 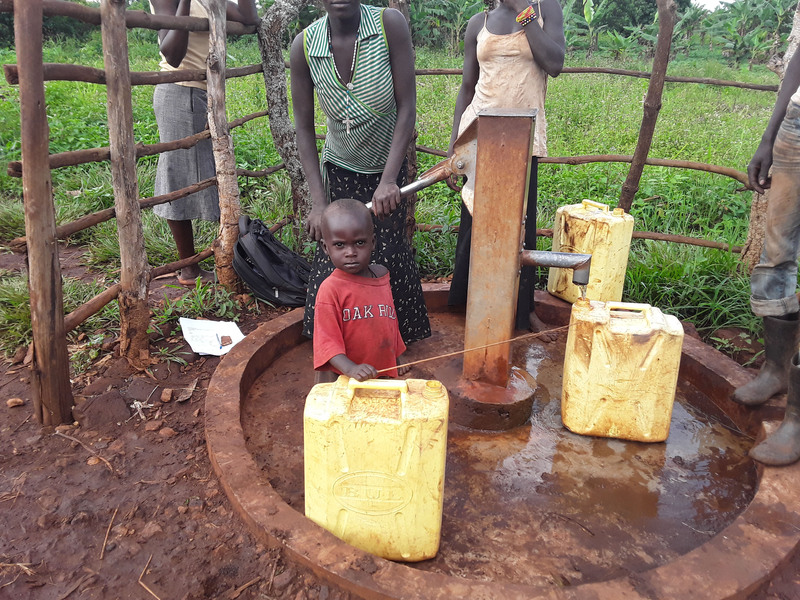 With a new well, there are now 55 households drawn to Bunyama Village for its safe, clean water. Our staff talking with Mr. Okidele and community members about restricting access to the well. When visiting, we heard complaints that the well is sometimes locked for a long time. Though it should be locked from 7pm to 7am every evening, people said it could be locked for two or three days at a time. When digging in with Mr. Okidele, we found out that this is true; the water and sanitation committee has asked the pump stay locked until households pay their monthly fees. However, we strongly encouraged that the committee not restrict access to the entire community. Instead, Mr. Okidele could sit at the well with a list of people who have adhered to their monthly payments, allowing them to fetch their water. Daphine and Rose fetching clean water at the well. While we were talking about this, 16-year-old Daphine Owechi came to fetch water. She said that not only are there less waterborne diseases, but she’s glad to be away from the open water source. There were a lot of mosquitoes there, and she says “we were being bitten by mosquitoes which would cause malaria. 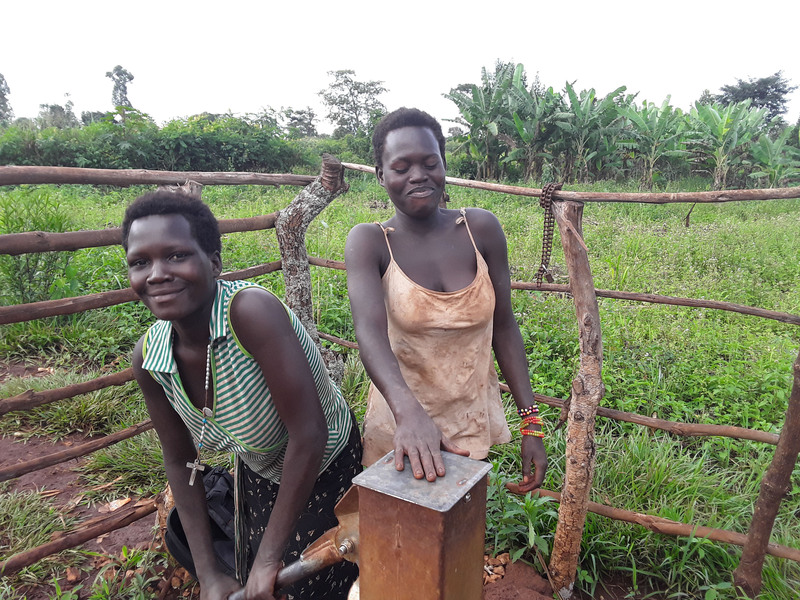 Malaria would prevent us from going to school, and a lot of money would be spent on treatment.” With no stagnant water at this well, Daphine no longer worries about malaria when she’s fetching water. When you invest in The Water Project, you're investing in people like Daphine Owechi. Your gifts help us reach more communities with the gift of clean, safe water. And every drop helps unlock potential.